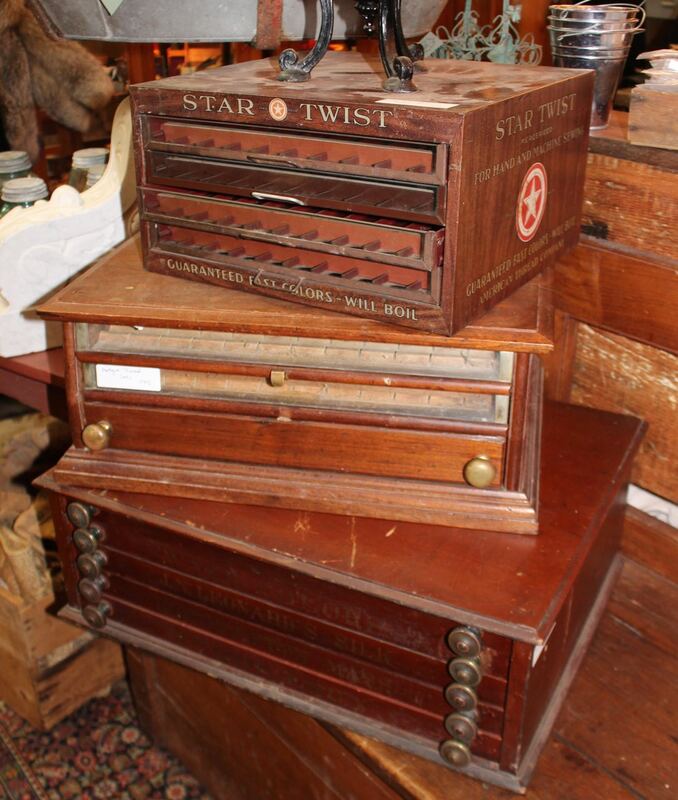 We love these old country store spool cabinets. They make great boxes for jewelry, art supplies, etc. Prices range from $145 (the two on the top) to $195 (the larger one on the bottom). Very good original condition.